Limit Smartphone Use App: Are You Addicted? 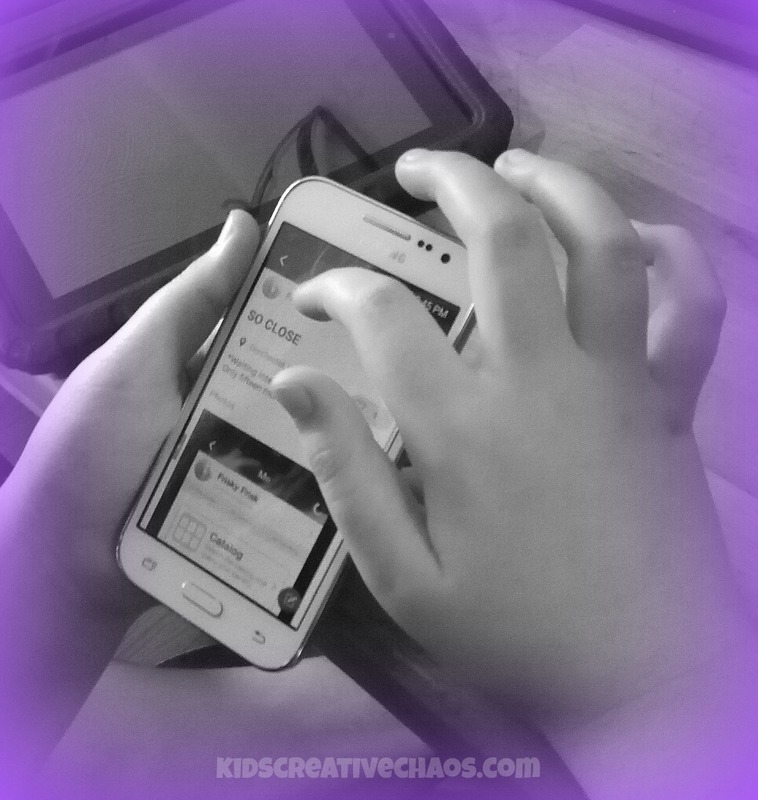 Do your kids have mobile phones? We recently purchased a smartphone to use as a house phone. Though, my kids have tablets and free access to computers, I worry about the cell phone, the texting, the access to the world in the palm of your hand. Smartphones have become addictive. I wondered, is their an app for that? Of course, there's an app for everything! Should we limit smartphone use? In this post, Hilary Smith, shares some insight on the overuse of technology combined with our kids, but it might not be the child who has the problem. That's right, Mom (or Dad), you might need an app to limit smartphone use. Enjoy! Limit Smartphone Use App: Are You Addicted? I know you are, but what am I? As parents, we have all heard about the damaging use technology and Smartphones can have on child development. Headlines and news segments abound with tales of how glitzed out video games and instantaneous messaging are affecting our kids’ attention spans, abilities to spell, and even their perception of reality. We see the experts wagging their fingers and warning us about the dire future our children are facing if we don’t encourage them to unplug every now and then. While those are very real concerns plaguing today’s youth, it is also important for parents to take a step back and reflect on the ways our own personal Smartphone and device usage can impact a child. It’s easy to label this action silly, but think about 30 years from now. Chances are that we won’t remember all the Pinterest boards, grumpy cat videos, or Snapchats. However, the memories and experiences we have with our children will ultimately be what matters in life. If we are not careful with our Smartphones and devices, their infiltration in our daily lives can derail all of our good intentions. Technology is powerful, it can unite our families or have a ripple effect that inadvertently causes harmful side effects in our children’s lives. How Can A Parent’s Technology Use Impact Children? Surprisingly, researchers and doctors are taking notice of how a parent’s use of technology is hindering our ability to effectively parent, which in turn affects our children’s self-esteem, development, and future. Besides the obvious hindrance to a child’s budding language skills, putting technology ahead of our children can cause severe emotional inadequacies to form. Physicians from the Boston Medical Center were so intrigued by how technology was impacting modern parenting that they conducted an anthropological study. In this study, they compiled observations of families eating dinner together at popular fast food eateries. During this experiment of people watching, they unearthed that close to 73 percent of the parents involved appeared to be fixated on their devices, almost completely ignoring their offspring. The distractive quality of our technology unintentionally tends to make children feel inadequate and less important than a parent’s device. This has caused many children to develop anxiety or depression- all because of our reliance on Smartphones, tablets, and more! Power down devices during family time. Take advantage of family meals, carpools, or play time. Look for meaningful ways to connect and show them that you care- even if it is for just a few minutes at a time throughout the day. Allow yourself a certain amount of time to use social media, check emails, or send a text during the day. Technology does have a place in our lives. By allotting 30 minutes, or an hour, everyday you will satisfy the urge to check in, shop online, or update your status without compromising your parenting. Create a docking station in the home for all electronic devices. Set up an area for family members to store and charge their devices when they are home. This will help beat the temptation to mindlessly scroll and allow you to be more present. As an added bonus, using a common drop area will make locating chargers, cords, and devices easier which will ease morning routines. While we don’t often think twice about using our cell phones or tablets at home, during dinner, or even while taking the kids to the park- we really should. Understanding how our own technology use is affecting our children is an important first step in addressing this issue. We need to teach our children that relationships are important, not empty sources of pleasure like social media or devices. We need to make sure we provide social interaction and engagement to the best of our ability. 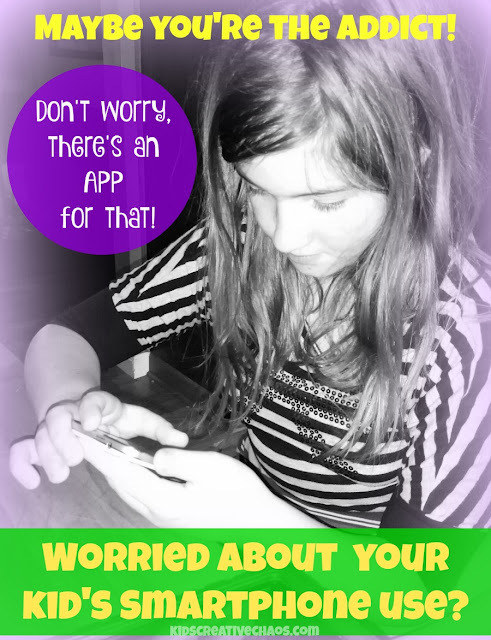 You might be interested in the Teen Safe app that tracks your child's smartphone use or the BreakFree app that controls your smartphone addiction.